Dec 8 – Change doesn’t come easily for me. 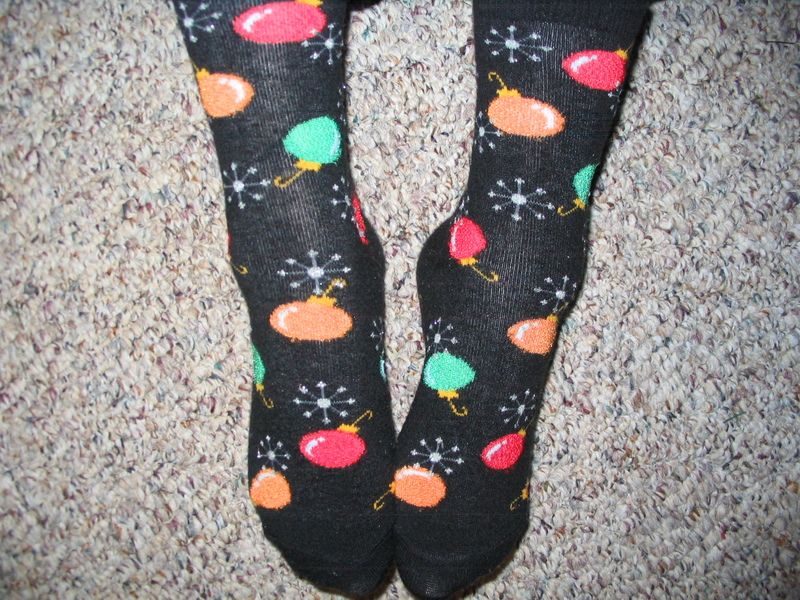 In December, I change my socks from boring to flamboyant, but after yesterday’s upside down Santa suit socks, I needed a break from all that excitement. 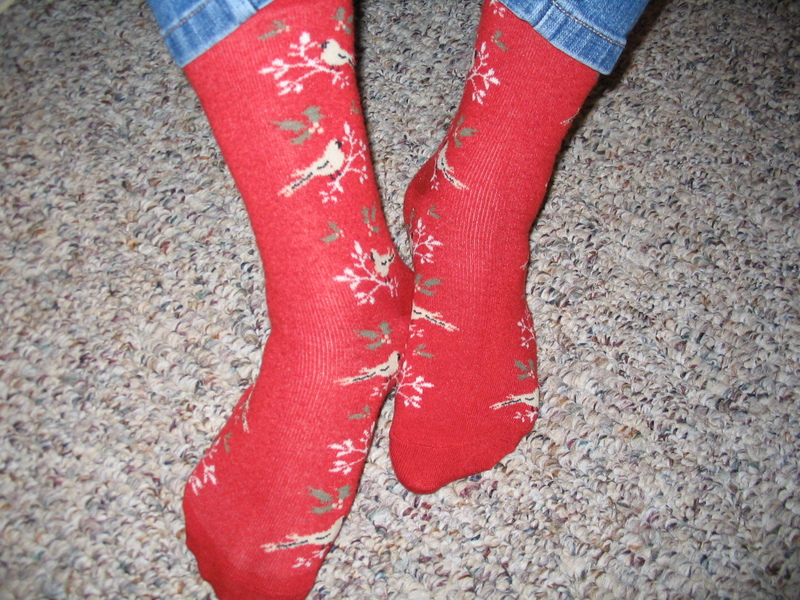 So today, the socks that I wore to church were all about chickadees and holly. They’re even in a calming rust color, rather than vibrant Christmas red. If socks can be peaceful, these are peaceful socks. In order to make our church a more welcoming place, we’ve been holding worship in the fellowship hall for eight months while the sanctuary gets a complete make-over. As we near the end of the upheaval, we are finally getting a break. The change is almost over. Today was the first Sunday of worship in the new space. We lit the peace candle for the second Sunday of Advent. Making this service extra-special was the baptism of our pastor’s grandson, who sat placidly in Grandpa’s arms, taking it all in, even as he was being blessed. He was at peace in that loving embrace. The peace that comes after great change filled our church today. Peace to you this Christmas season.